This outfit was made for Fancy as it Flies, a multi-time period dance that my friends and I hosted at the Felt Estate in Saugatuck, MI. We had the run of the mansion and grounds for the whole day, danced in the English Country style, ate delicious food, and just generally had a wonderful day. 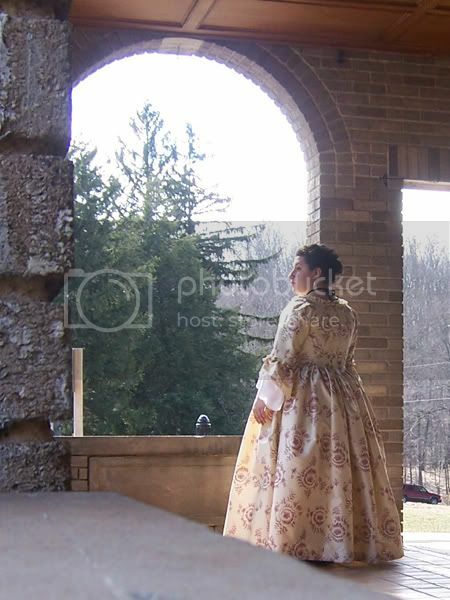 The dress itself is completely handsewn--every stitch. 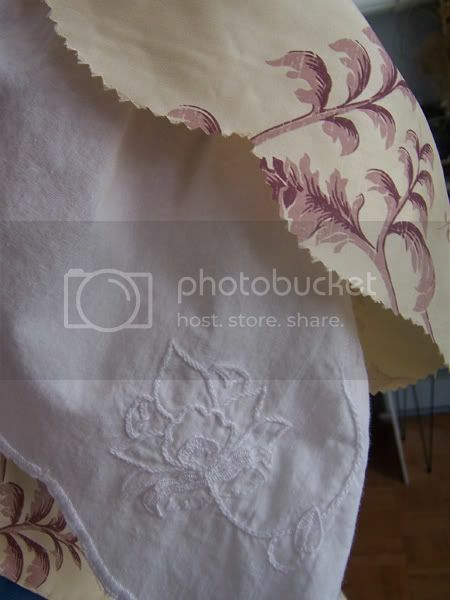 It's made of a printed silk taffeta, lined with a fine white linen, and decorated with self-fabric flounces and ruching. The under-flounces on the sleeves are cotton muslin, embroidered with perle cotton. Those are actually re-used off a dress I made in 2005. A closeup of the embroidery and pinked flounces. 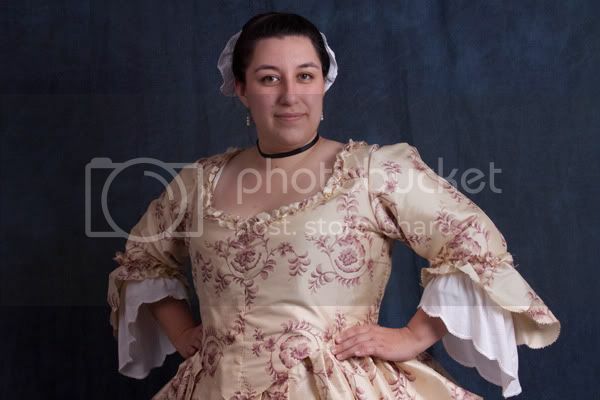 In terms of pattern, I based the construction off the taffeta polonaise in Linda Baumgarten's Costume Close-up, though the back seamlines are slightly different and the original just has ruches around the cuffs instead of flounces. My flounces are taken from Patterns of Fashion I by Janet Arnold. 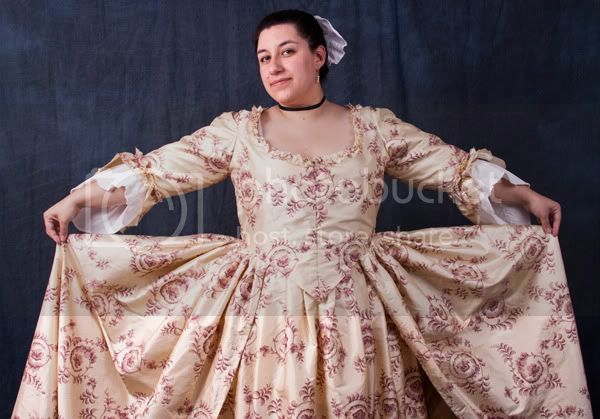 The skirt can be worn down, as pictured, or looped up in a polonaise style with ties of cotton twill tape hidden in the pleats. 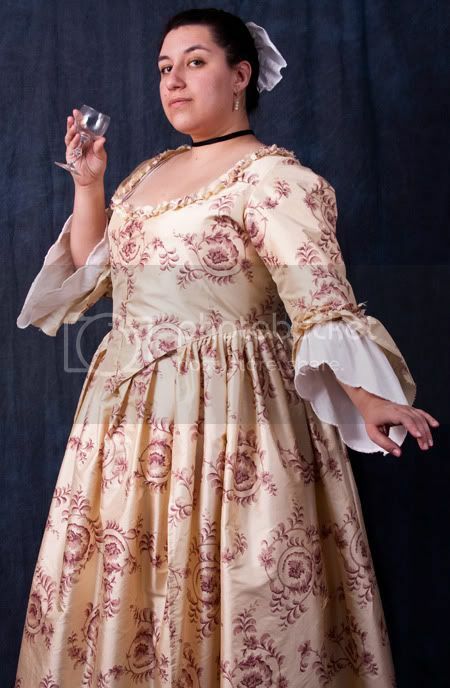 Many dresses in this style had elaborate trimming, but with such a large, defined print I decided to let the fabric speak for itself and kept the trim to a miniumum. 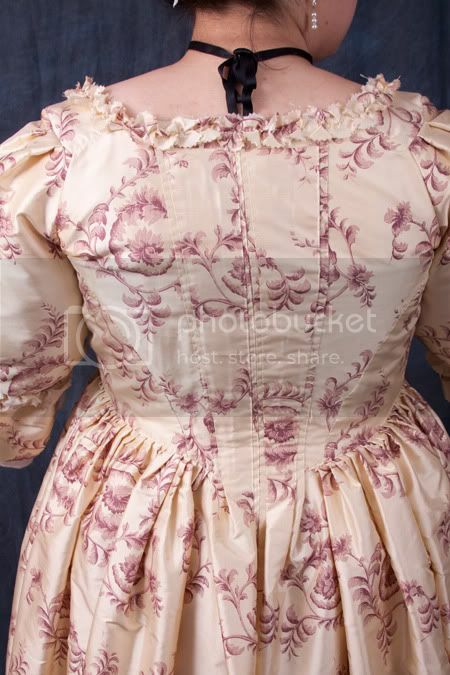 As pictured, this dress is worn over a linen chemise, reed-boned stays, and one underpetticoat. Because the silk is so light and crisp, I was very comfortable all day, though I was "in costume" for probably twelve hours, all told. 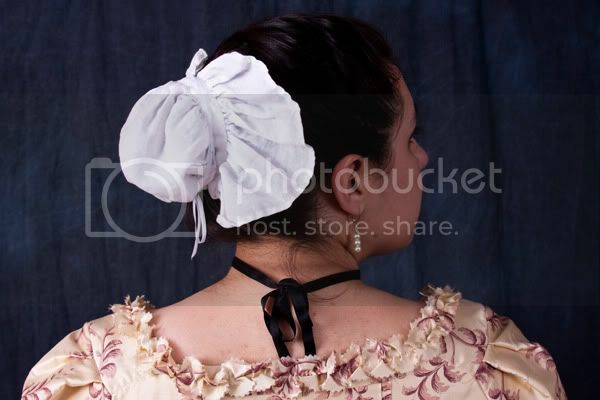 And because accessories make an outfit but never get a webpage of their own, a picture of my cap. Thrilling, I know.